The death of actress Lupe Ontiveros made me think again about the roles that Hispanics are often forced to play in mainstream American television and cinema. 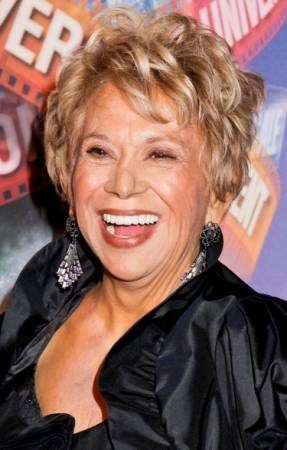 In a 2009 interview with NPR, Ontiveros mentioned that she’d appeared as a maid more than 150 times during her career. In fact, her biography on entertainment web sites note that she’s best known for playing maids and housekeepers. I’m certain she had aspired to do more. But, maids and housekeepers are pretty much the only roles available for Hispanic actresses in the otherwise eclectic American entertainment industry. Other stereotypical roles include, at best, gardeners and busboys; at worst, gang members and drug dealers. Is that all there is for us? Not long after she won the 1939 Best Supporting Actress Oscar for her role in Gone with the Wind, Hattie McDaniel received staunch criticism from the NAACP for her constant portrayals of Black women as domestics. McDaniel retorted, however, that she’d rather make a living portraying housekeepers than actually working as one. That didn’t really satisfy the NAACP, but McDaniel was going to lose either way. Yet, the housekeeper role was just about all any Black actress could get for decades. Now, even a cursory glance at television and movies will show Black women as lawyers, judges, doctors, law enforcement officials and business women. But, Hispanic women still wear that traditional apron, while holding a dust rag. They aren’t the Hispanic women I’m accustomed to seeing. Most Hispanic women in the U.S. have done more with their lives than get married and bear children. They, too, are lawyers, judges, doctors, law enforcement officials and business women. As with Black women, the vast majority aren’t involved in drugs or prostitution; they’re not gang members; they don’t breed like rabbits. Yet, that’s what’s presented to the American populace in various entertainment mediums. Hollywood just can’t seem to move past the stereotypes. Its producers and directors are stuck in neutral. It really must hurt to admit the truth, though, and the truth is that the American entertainment industry isn’t as open-minded as it thinks it is. When Ontiveros took the role of Yolanda Saldivar in the 1997 movie Selena, it was quite a departure from the usual. This was a tragic true story about the brief life and sudden death of Selena Quintanilla-Pérez, a Spanish-language music star popular in the early 1990’s. Saldivar had been head of Selena’s fan club. But, the singer’s parents caught Saldivar embezzling money from their daughter. When confronted, Saldivar shot Selena in a hotel room. The younger woman was about 2 weeks shy of her 24th birthday. That Saldivar had engaged in criminal behavior sort of feeds back into the stereotype that – overall – Hispanics are of the nefarious mindset. But again, that may have been the best Ontiveros could get. It was still different than portraying a housekeeper. It’s ironic that the main star of Selena is Jennifer Lopez who is now undoubtedly one of the most well-known performers in Hollywood. When Lopez won the part, Mexican-American groups complained because Lopez is Puerto Rican. They viewed it almost as an insult, which is like some people saying they’re Sicilian, not Italian. What’s the difference? And, who really cares? But, it could have been worst. Ironically, Hispanics altogether protested loudly just a year earlier when the movie version of the musical Evita came out with Madonna in the title role of Eva Perón and British actor Jonathan Pryce as Argentine president Juan Perón. I had to wonder, at the time, if the producers couldn’t find any real-life Hispanic actresses who could actually sing and act. But if you think about it, Eva Perón and Madonna had a lot in common; they’re both ersatz blondes who only think they had talent. But, Jonathan Pryce? One of Ontiveros’ last roles was as a cantankerous mother-in-law opposite Eva Longoria’s bitchy suburban princess in ABC’s Desperate Housewives. Longoria, for one thing, fit in quite well with her Anglo co-stars, and I’m sure no one besides Rush Limbaugh and Bill O’Reilly noticed the difference. Actress Shari Headley, who starred alongside Eddie Murphy in the 1988 film Coming to America, once commented that auditions often felt like family reunions; the same actresses would show up whenever a casting call for a Black female character was announced. Ontiveros, Longoria and other Hispanic actresses could have easily said the same. I know Ontiveros wanted more from her career and could have done more with it, if given the chance. But, she took what she could get. It often wasn’t much, but she wasn’t just going to fade away. And, neither is any other Hispanic performer. They won’t just drop into oblivion somewhere, so a handful of Americans can feel comfortable with what they see on the TV or movie screen. That’s an impossibility. Stereotypes may persist, unfortunately, but we’re changing that – one character at a time.